Rigid plate armour to complement chainmail quickly gained popularity in the mid-1200s. The 13th Century Poleyns are inspired by illuminations, funerary sculptures, and other artworks showing this sort of knee protection. 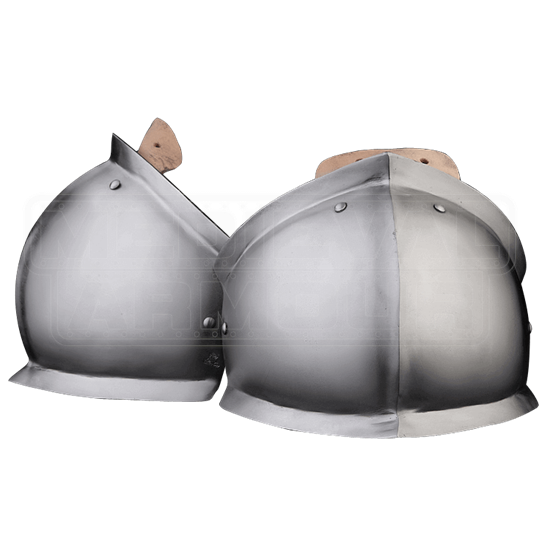 Steel knee cops like these help to reinforce the weak points in a knights armour. The knee plates have leather straps that help to secure them in place. 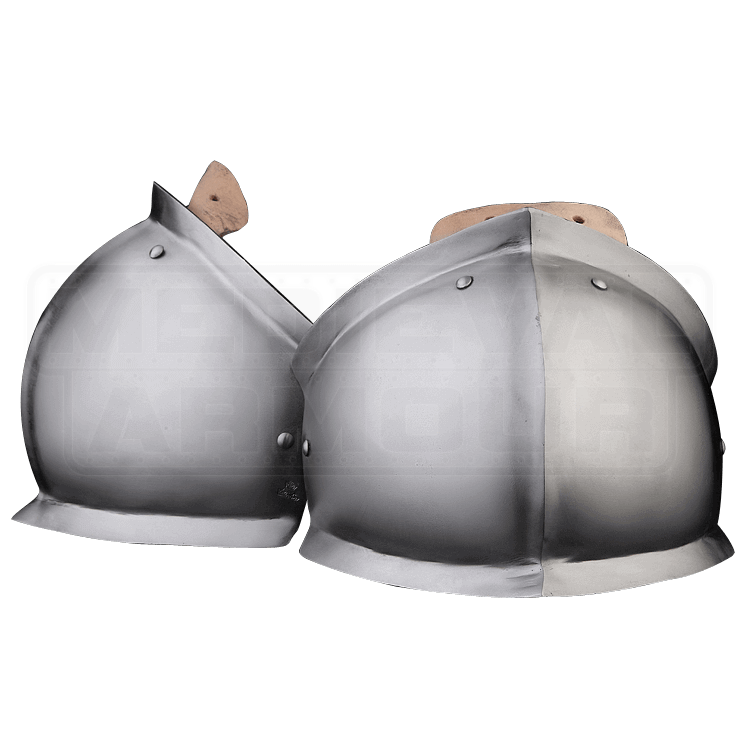 These steel poleyns make the perfect addition to your armour set for LARP events and historical re-enactments.